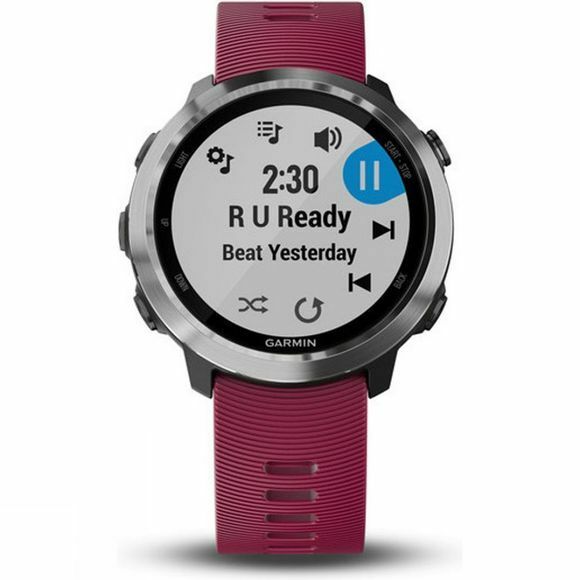 With up to 500 songs worth of music storage built right into your watch, we’re putting the "beat" in your daily mission to beat yesterday. It’s easy to transfer music from your computer and then queue up your favorite playlist for easy listening through Bluetooth headphones. You can even sync your carefully crafted playlists from select music streaming services to your watch for more ad-free listening. Now you really can leave your phone behind when you head out for a run, because the music that helps keep you moving is right there on your wrist. Always on the run? Feel free to leave your phone and wallet behind. 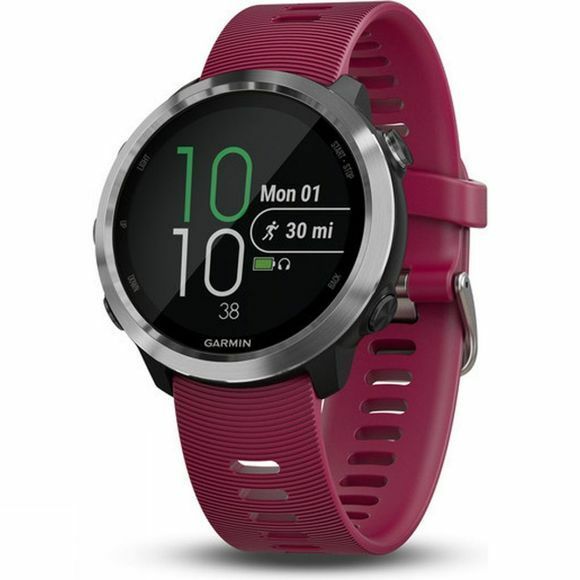 Forerunner 645 Music features Garmin Pay contactless payment solution, which lets you pay for purchases with your watch. Use it just about anywhere you can tap your card to pay. A bottle of water here, a bite to eat there — just pay, and keep on moving.